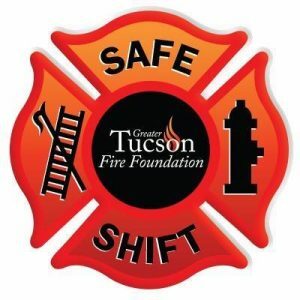 The Foundation and it’s partners provide real time real time crises support and counseling to support our firefighters who are suffering from stress related ailments or PTSD. Our peer fitness and group preparation programs help minimize on the job injuries and improve long term health. The No. 1 killer of firefighters is cardiovascular disease. In fact, heart disease is responsible for nearly 50% of on-duty firefighter deaths according to a 2007 study by Dr. Stefanos N. Kales of Harvard Medical School. The 17th Surgeon General of the United States, the esteemed Richard Carmona, M.D., M.P.H., FACS, had some great works about our very own Mike McKendrick! Learn more about how you make an impact on our organization and community for years to come with a Legacy Gift. To learn more about giving options, contact Mike McKendrick. Thank you to everyone who participated in Casino Night 2016! It was a huge success. You can see pics from the even on our Facebook page! The Firefighters Beyond Borders initiative has also impacted the hearts and minds of so many that wear the same uniform with different badges, and in different languages, who all love and serve their communities – there are no borders, boundaries or politics in our first responders.